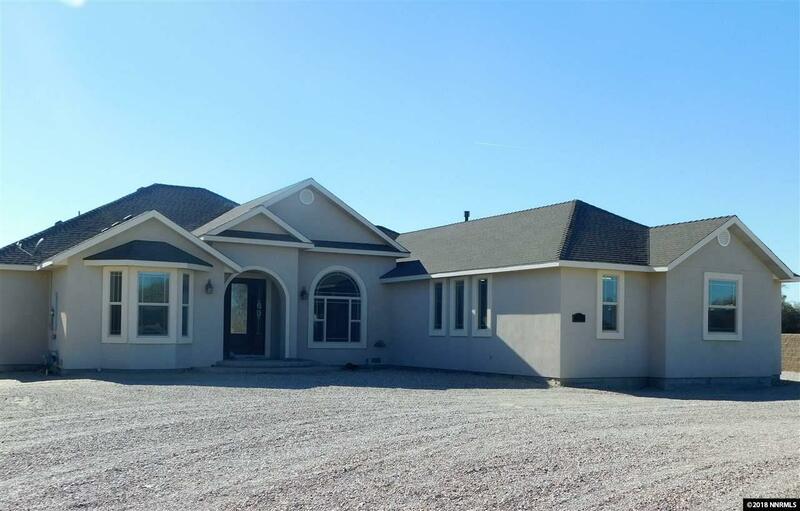 Beautiful custom built home on over an acre in desirable Fallon neighborhood close to town. Over 2500 square feet, 3 bedrooms, 2 1/2 baths plus an office. Large master suite with garden tub and walk-in shower. Private outdoor space off of master is ready for installation of a hot tub. Large family room with pellet stove with stone surround and built-in cabinets. Spacious kitchen with pantry, cherry cabinets, granite counter tops, under-cabinet lighting and stainless steel appliances. Listing provided courtesy of Wallace Realty.